BatteryMINDer Model 244CEC1: Don’t just charge your batteries...Condition them! The most advanced series of Battery Charger-Maintainer-Desulfators that BatteryMINDer has every offered using SmarTECHnology™. Users can now determine the level of charge remaining in their battery, and if weak and in need of replacement, before going bad. 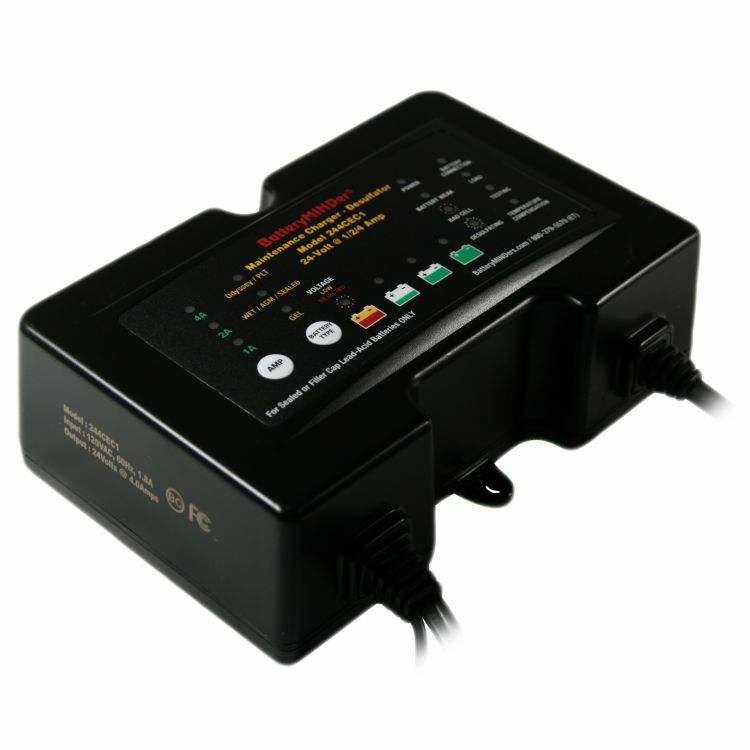 In addition, units test for weak cells and will recover weak or severely discharged batteries that other chargers would reject. 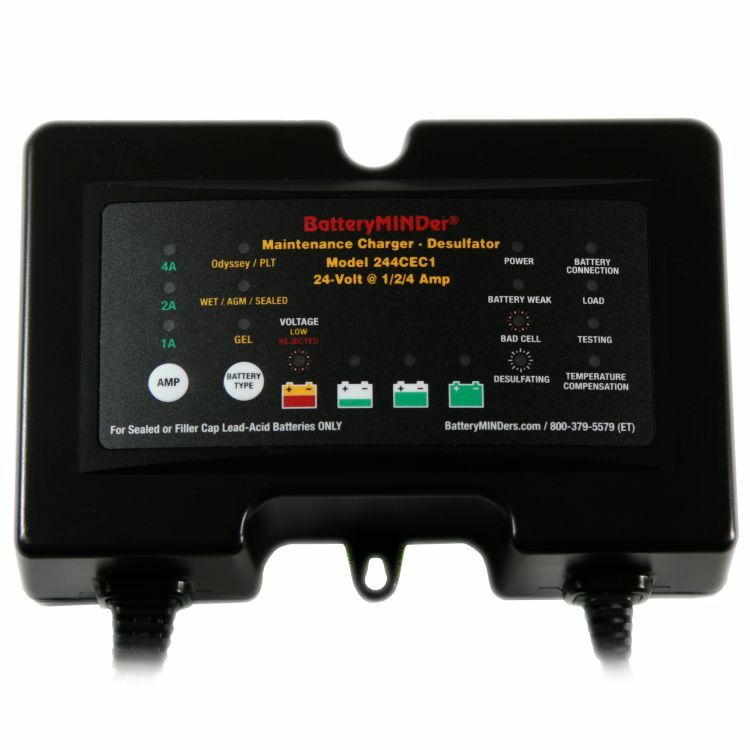 The Battery MINDer does have an ambient temperature sensor on the unit. 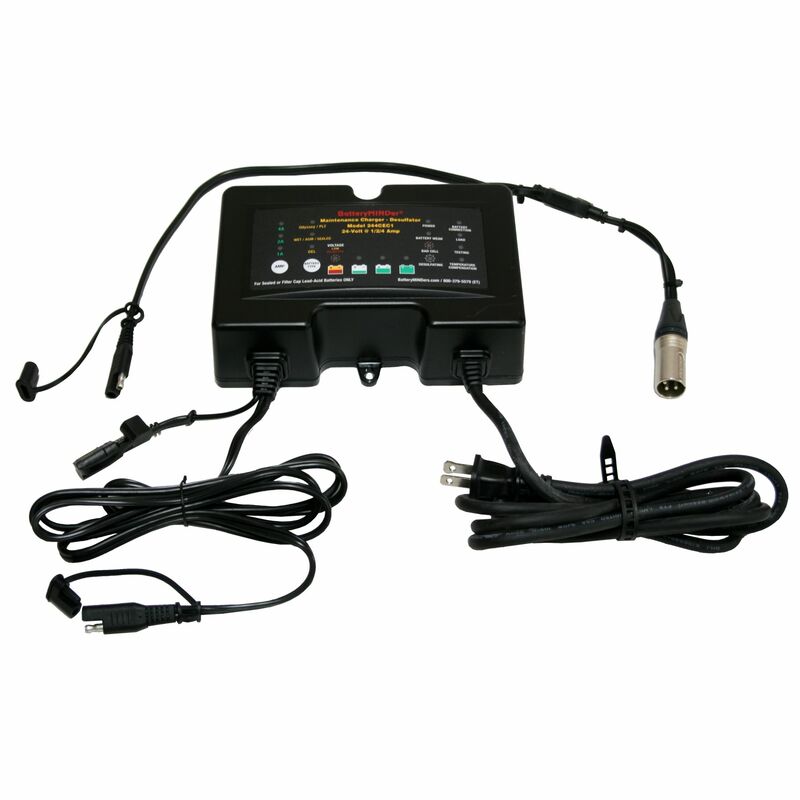 The optional Battery MINDer Temperature Probe Extention Cable is available for purchase, and enables the charger to sense the temperature of the battery. XLR Connector that matches most Power Chairs & Mobility Scooters. 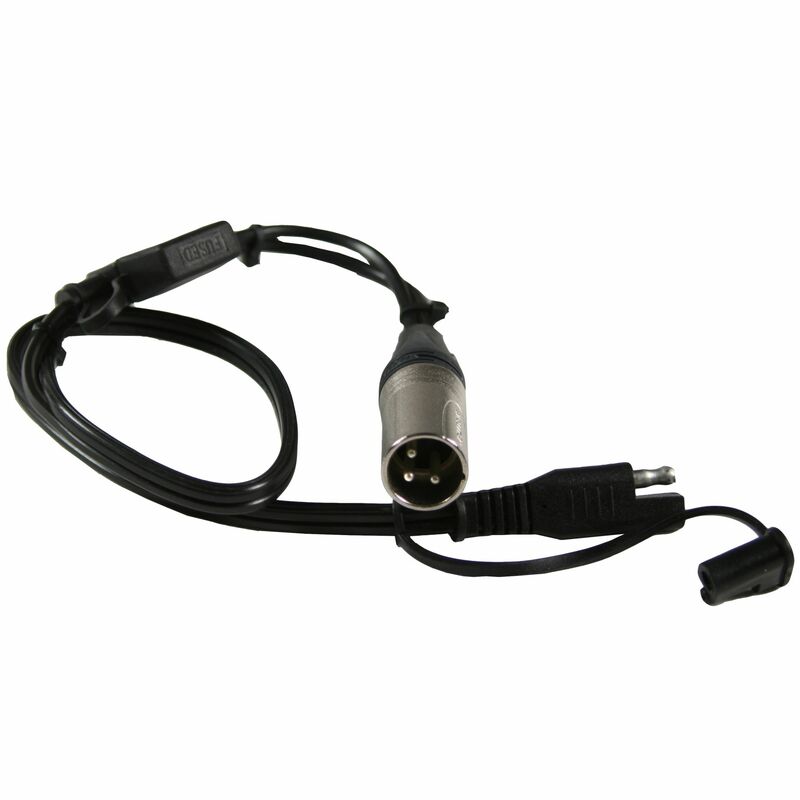 Do you own the 244CEC1-XLR1? Please, tell us what you think about it. It helps us provide you with better products. Please note that it may take up to 72 hours for your review to appear.